Personally, I’m a fan of out-of-the-way beaches. Places most people don’t know about where you can enjoy a day of sand and surf without the crowds. Here are three of my favorite…but please, keep them to yourself. 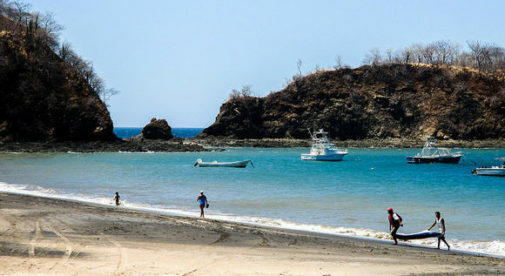 Manuel Antonio is one of Costa Rica’s most-visited beach destinations thanks to the popular national park of the same name. Hills and cliffs loom above the water, offering views of the brilliant blue Pacific from homes, hotels, and restaurants. When I’m in this area, I avoid the main beach near the park, which can get crowded. Instead I go to Playa Biesanz. You get there down a curvy side road (blink and you might miss the sign). Soon you’re in the jungle. And when you spot a gap in the barbed wire fence, you’re there. 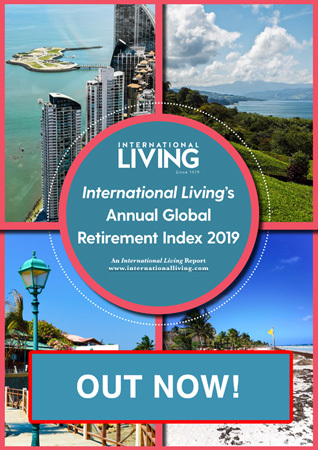 It’s a five-minute walk to a white-sand paradise, a sheltered cove with rocky cliffs on either side that few people know about…mostly just in-the-know locals. Weekdays you could have the whole place to yourself. Just watch your backpack—capuchin monkeys have been known to pull them up the trees if they smell snacks inside. Playa Biesanz is set off by itself, with only a few hotels nearby. 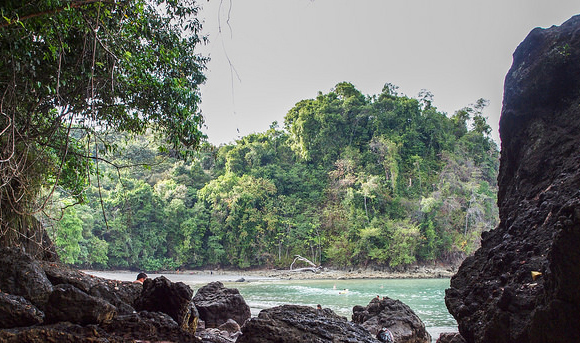 So if you lived there, you’d have to be in Manuel Antonio proper. A one-bedroom condo with community pool in Manuel Antonio is available for $148,000. A two-bedroom luxury condo on the jungle-covered hillside, with panoramic views of the Pacific, is $195,000. This place is literally at the end of the road. 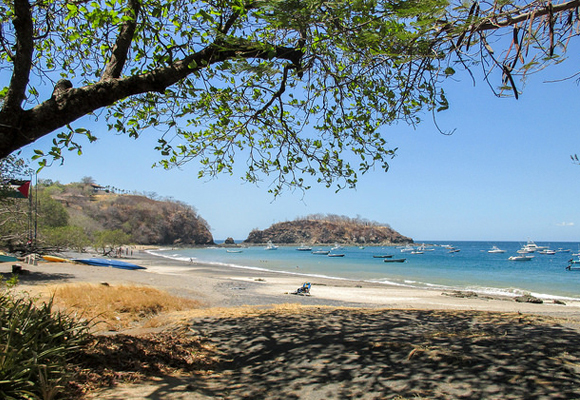 Hit Costa Rica’s Caribbean coast then head south on the two-lane coast road. It goes from pavement to dirt to a sandy parking lot in the shade of some palm trees. 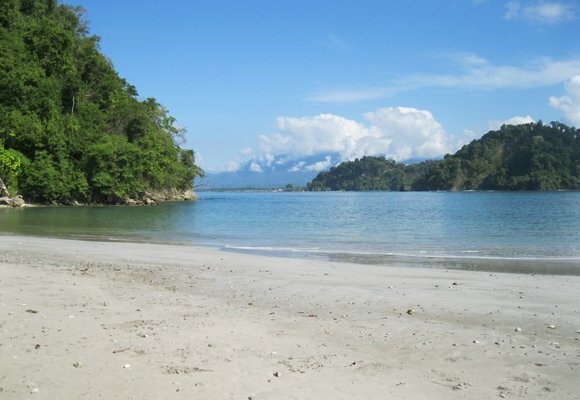 The Gandoca Manzanillo National Wildlife Refuge is on the border with Panama. You enter on a shore-hugging jungle trail and after a 10-minute stroll, you have your pick of quiet coves to spend the day. The sand is golden. The sky blue. The water clear enough to see to the bottom. Reefs and rocks just offshore make for great snorkeling. You can spot sea turtles, rays, and fish of a hundred colors. It’s quiet, peaceful. The ideal escape. Housing is quite limited in this area due to much of the land being protected area. 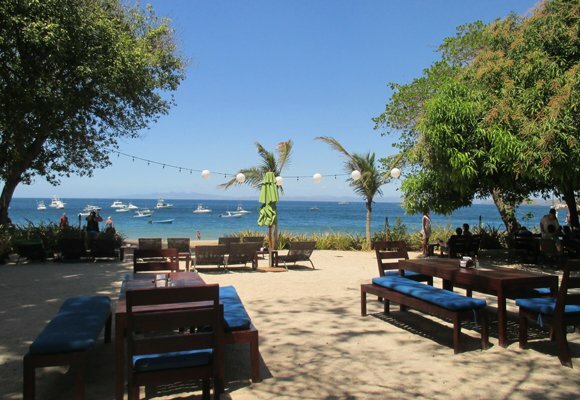 But in and around the village of Manzanillo, which has small shops and a few restaurants, there are options. A simple, Caribbean-style, three-bedroom home, set on almost half an acre in the jungle and a quick walk from the beach, is listed at $135,000. A luxury villa, with three bedrooms, on the beach nearby is available for $255,000. 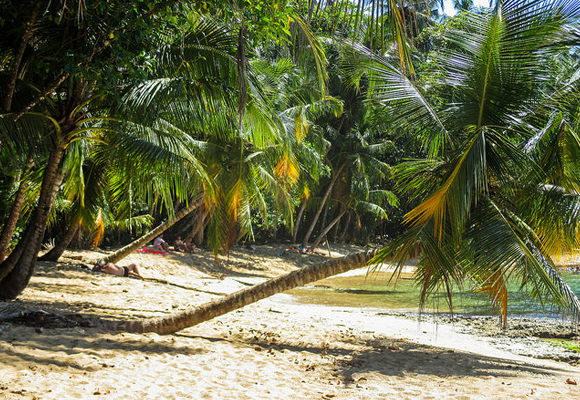 Locals enjoy soaking up Playa Ocotal’s tranquil atmosphere whilst sitting in the shade of one of its many trees. 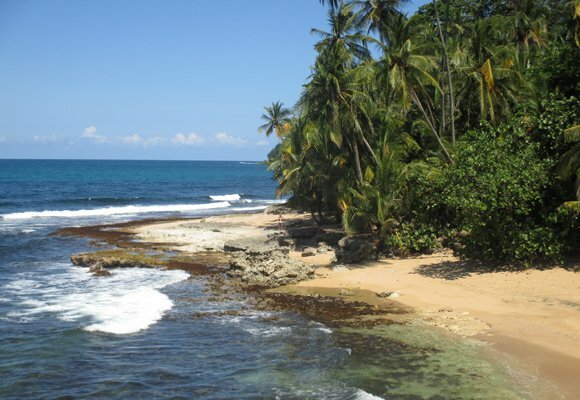 Just a few minutes’ drive west from the popular beach town of Playas del Coco on Costa Rica’s northern Pacific coast is the small community of Playa Ocotal. It’s a scattering of small hotels, condos, and a few clifftop homes overlooking the water. Fishing boats bob in the swell just offshore in this small bay. And there are plenty of shade trees where you can spend the day. When you get hungry, fresh seafood and cold drinks are on offer at the lone beach bar. Try $3 for a frosty beer and big plate of fried fish for $8. This place is a favorite of Ticos and vacation renters who can walk here from their condos. But the limited parking means it never gets too crowded. You can find good-value real estate as well. A studio condo, a short walk to the beach, is available for $32,000. It comes fully furnished and is located in a well-landscaped community with a pool. If you fancy something larger, an ocean-view, two-bedroom home is going for $229,000.